Gogoi's poor performance as chief minister, especially in his last term, was a factor but there is no doubt that communal polarisation was the trump card BJP leaders used – even if not openly. The effects of this are not likely to be transient. The 2016 assembly election is likely to be a watershed moment for Assam politics – ‘historic’, in the words of the Congress-turned BJP stalwart Himanta Biswa Sharma. The effects are not likely to be transient, given the extensive and strong bases the RSS-led Hindutva brigade has built over the years with painstaking, systematic work all over the state, among all communities, and with solid backing by local TV channels which virtually ran a prolonged campaign against the Congress. Hindutva influence has been quite insidious, spreading even to liberals who would otherwise squirm at being clubbed with the die-hards. As one middle-class man put it, who in the present case would willingly vote for Congress? The phrase “anti-incumbency factor” is a tautological term. If a party is not complacent and is transparently working for the good of the people, that factor does not work at all. By and large, the Congress has brought this disastrous result on its own head with its gross lapses in policies and programmes. It appeared to all and sundry, on the eve of the polls, that only personal loyalty and craving for the loaves and fishes of office had kept a bunch of self-seekers together. That is why it has fallen from 78 seats in 2011 to 24 in 2016. All four seats in greater Guwahati – earlier in the hands of the Congress – have been taken by the BJP. It is as if the people voting felt ‘anything but the Congress’. It must be said, at the same time, that they hardly understand what their choice means in the long run. The Modi magic does not charm any more, even if some are still spell-bound by his histrionics. 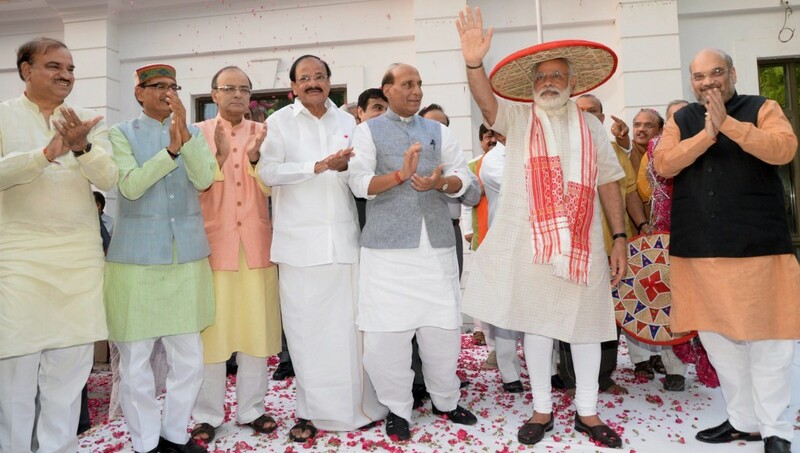 The BJP clearly understood the momentous importance of the Assam elections. The party did not entertain much hope about the elections in the four other states – where people are wary of communal mobilisation. But in Assam, the entire BJP leadership threw its weight behind the campaign, ranging from star campaigners to small fry. The party deputed Ram Madhav, a leading organiser and RSS stalwart, to oversee the Assam campaign, while Prime Minister Narendra Modi and BJP president Amit Shah made frequent visits. Sarbananda Sonowal, former AASU president and AGP leader – credited with winning a Supreme Court verdict against the inept and patently biased Illegal Migrants (Determination by Tribunal) Act Act that discriminated in favour of foreign immigrants in the name of protecting minorities, and thus a darling of the Assamese middle-class – was a shrewd choice for the chief minister’s post. For he might also allay the anxieties of backwards and tribals that the campaign was just a game of caste-Hindu elements. But Sonowal showed his understanding of the parivar’s importance by meeting the RSS top brass at Hojai, where Hindus and Muslims live together with a certain measure of mutual distrust, soon after the election. Of course, the master campaigner for the BJP was Himanta Biswa Sarma,who had built a strong support-base for himself during the decade he spent as a prominent Congress minister – a support base devoted to him personally rather than to the party. The BJP, which had at that time brought out a pamphlet giving lurid details alleging Sarma’s involvement in various scams, was quite prepared to pay the asking-price for his services. So much for the party with principles. Overnight, the Congress defector became a strident advocate of Hindutva. To insure itself further from unexpected turns, the BJP assured lakhs of Hindu refugees from Bangladesh that if voted to power in Assam it would guarantee them citizenship as victims of religious persecution. The party entered into a timely alliance with the AGP, a party in decline and with some of its strong popular leaders already defecting to BJP, to prevent the division of the indigenous Hindu vote. On such ticklish questions as the grant of citizenship to Bengali Hindus and the dreaded Lower Subansiri Hydel Project, the AGP says it does not see eye to eye with BJP. The Bodoland Peoples Front (BPF) was chafing against its old ally, the Congress, as finances were drying with the sudden stinting of Central funds, and the BJP promptly entered into an alliance with it. The triple alliance, with some support from a fringe tribal group, ended up winning 86 seats in an assembly of 126 – a comfortable majority. Development is the magic chant of the BJP, and Modi is its most ardent devotee, both for the domestic and the international audience. The Congress has also been harping on development in the past 15 years. As long as Central funds kept coming, there was some visible evidence of its elusive presence: bicycles for school-girls, contractual jobs for shiftless youths, the odd country road, MGNREGA engagements. Nothing of a permanent nature, but still something concrete. The NDA government, as soon as it came to power, choked off MGNREGA funds and asked for utilisation certificates before releasing further instalments of funds for other central schemes. That was a much graver disaster than even the Congress, which went on complaining, at first realised. Actually, the situation on the ground as far as the economy is concerned was pretty serious. Unemployed youths left for insecure jobs such as security guards in metropolitan malls in droves. Many villages became settlements of old men. Those left behind were also desperate and angry. Farming was no longer a viable option, what with poor irrigation, the apathy of the agriculture department, and the difficulty of accessing markets. So the BJP’s catchword of ‘development’ unerringly hit the target, and young men and women were hooked. Young voters made up 50% of the electorate. They had been made totally apolitical during the three terms of Congress rule, lured by promises of an easy life, easy money and the drug of mass entertainment purveyed by the media, and turning their attention away from the fundamental problems of the economy and politics. The scene had been quite the opposite in the 1970s, when popular culture, even Bollywood films, focussed on basic social issues and the struggles they compelled. One really scary aspect of the situation today is the widespread panic created over a supposed Muslim invasion of the patrimony of the khilonjiya (indigenous) people. Some time before the election, the Centre released figures of a phenomenal increase in the Muslim population according to the 2011 census – data the Congress apparently sat on. The rational explanation was the abysmal poverty of immigrant Muslims and their lack of knowledge of and access to modern birth-control. But the media blew the figures up as a manifestation of ‘alien peril’, and persuaded people that unchecked immigration from across the borders and the terrifying fertility of Muslim women were a menace that had to be tackled urgently and at any cost. Whatever the BJP camp might say, there is no doubt that this is the trump card they used, if not openly. The RSS has done its job quite efficiently with its chain of cheap schools all over the state that provided reasonable education to the sons of the poor when the government was allowing state schools to rot in neglect. But the products of such schools are susceptible to the vicious propaganda of the Hindutva brigade. If there was already an audience for the most weird kind of propaganda, the media did the rest, with one or two exceptions. On the other hand, Muslim voters – who are more than 90% in Muslim-dominated constituencies – reacted to the alarm, but got divided between the Congress and the All-India United Democratic Front. 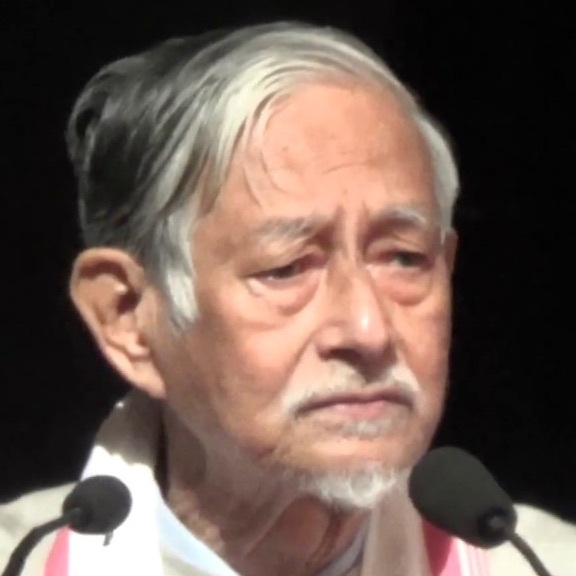 The Congress had snubbed the latter’s call for on an alliance, partly because it feared alienating Hindu mainstream voters, and partly because of the unreasonable demands made by the AIUDF supremo, Badruddin Ajmal, who ironically lost his seat in what was otherwise a safe constituency for him. The police, with the help of the media, also occasionally spread fears of a Muslim terrorist connection by raiding jihadi cells apparently connected with JMB and Hijbul Muzahidden of Bangladesh. So the anti-Muslim campaign played a decisive role in the BJP-led alliance’s victory. However, the apathy and lethargy of the Congress in its last term had much to do with its wretched showing. The political leadership of the Congress had failed miserably. Gogoi had apparently shown more interest in governance in his first term. Thereafter, he relied totally on Himanta Biswa Sarma to run the show for him. Sarma, an energetic youthful leader whose style is marked by dynamism and a total lack of scruples, carefully built his own support-base through largesse and organisational flair while carrying out those errands. He had a good rapport with middle-level executives of the police and the civil administration. Though often smarting from the abuse heaped on him by the BJP and other opponents of that period on account of the Dima-Hasao public health scam and the Saradha chit-fund scam, Sarma enlarged his sphere of influence as the trouble-shooter and the virtual head of the government. When he fell out with Tarun Gogoi, reportedly on account of his ambition of replacing him as chief minister, the administration collapsed into chaos. It had no sense of direction any more. Instead of re-establishing his command over the Congress base and the administration, Gogoi spent much of the time blaming – and laying bare – the deceit and treachery of his erstwhile lieutenant. Since he had let slip his hold on the administration and no other youthful leader was deputed to fill the void left by Sarma,the bitter public controversy with the defector did Gogoi little good. 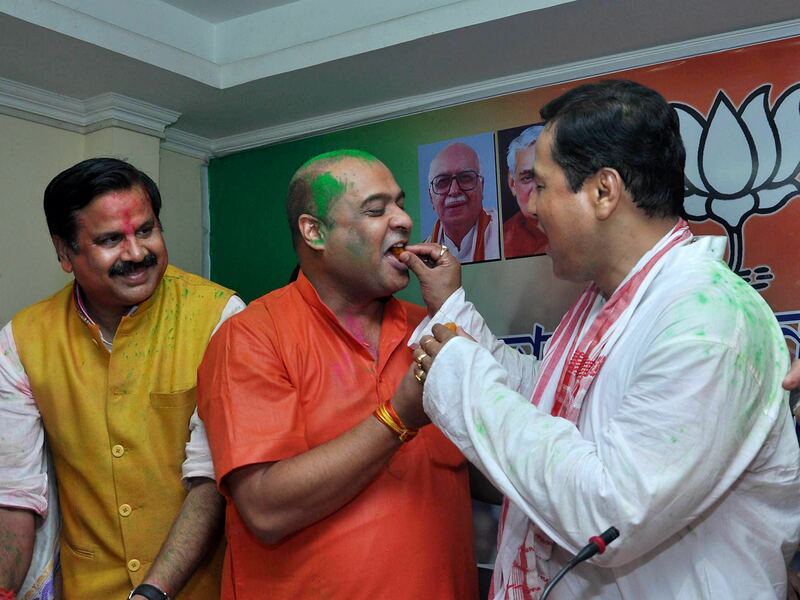 Himanta not only joined the opposite camp but devoted himself to crying down “15 years of Congress misrule”, incredibly oblivious to his own stellar role during that time. Popular distaste for Congress’s ineptitude and corruption was such that he was forgiven those sleights-of-hand. Even the Left felt too scared to join the Congress in a common stand against the extremely illiberal forces. By and large, one is reminded of the mammoth mobilisation of the Assam anti-foreigner movement, with many of the BJP’s tactics closely resembling those of the latter. The local media, as during those days, also deserves ‘credit’ for their role in mobilising public opinion against the Congress. As mentioned earlier, most of the local TV channels played a barely veiled role in the campaign. The media also did little to highlight the actual trends in the entire country, the deep game played by the BJP in the debate on ‘intolerance’, the ruthless application of neo-liberal economics to the distress of the poor, and the thickening communal cloud over the country. People do not really know the guests they have welcomed with open arms.